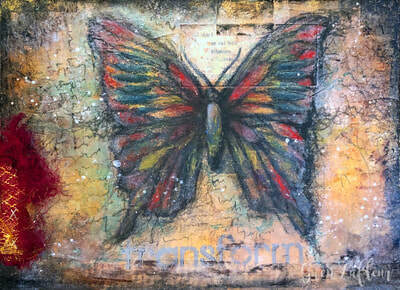 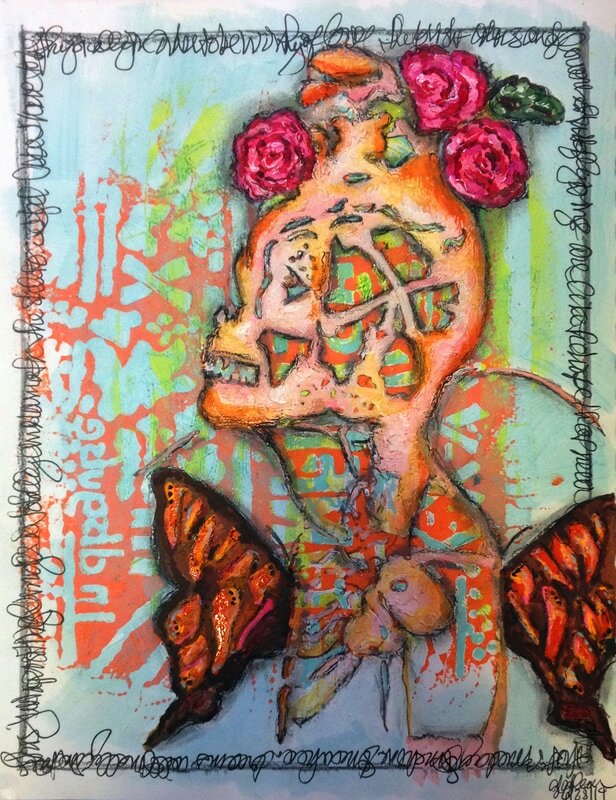 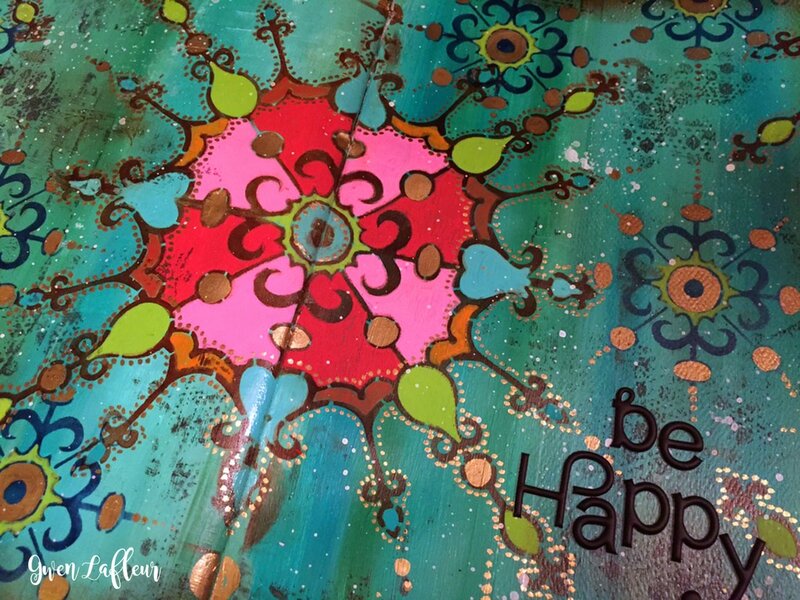 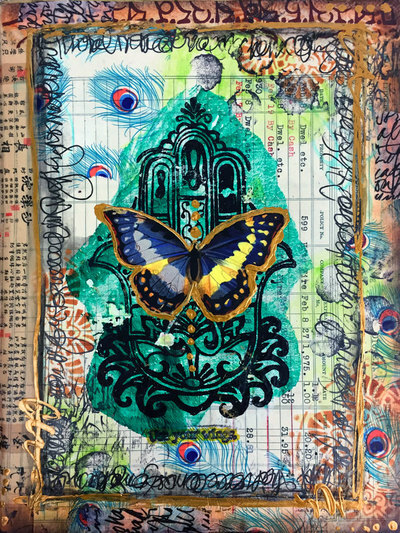 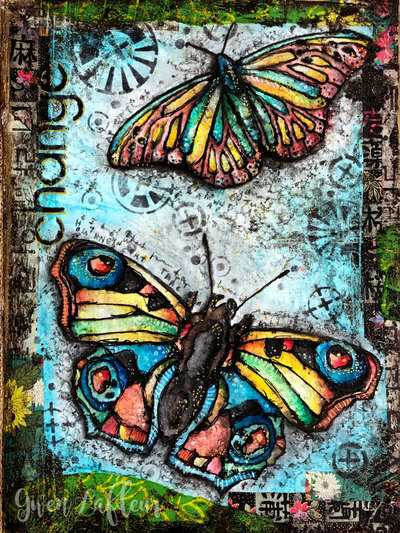 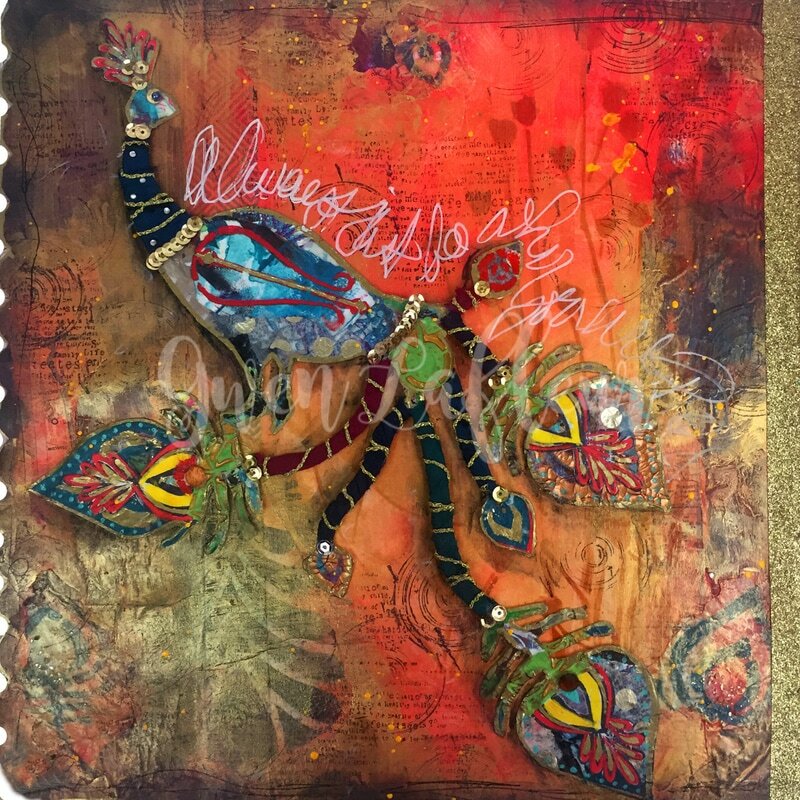 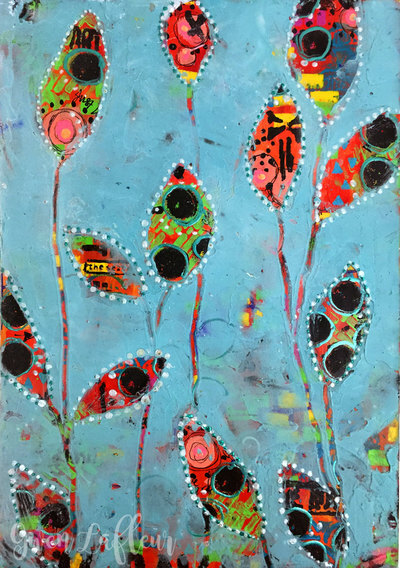 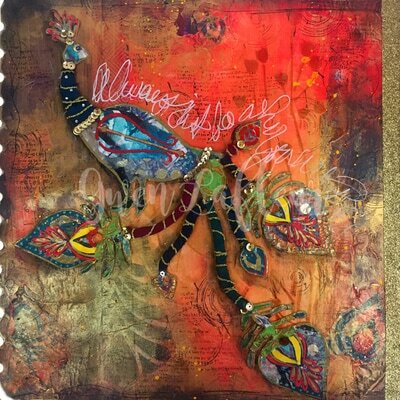 "Change" art journal page by Gwen Lafleur featuring her Boho Butterflies stencil. 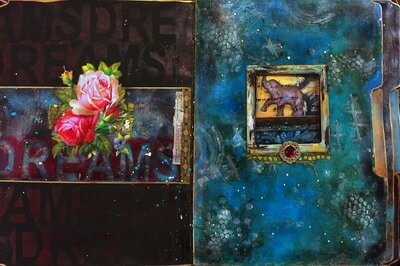 Stenciling, collage, acrylic paint, and watercolor on paper. 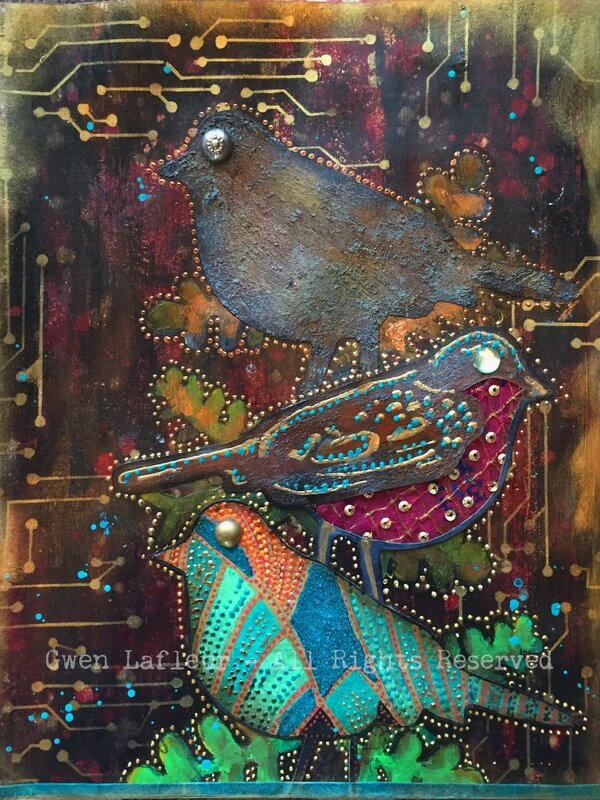 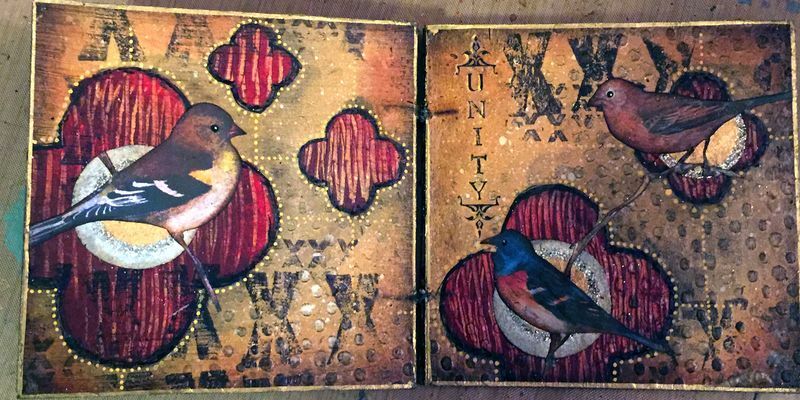 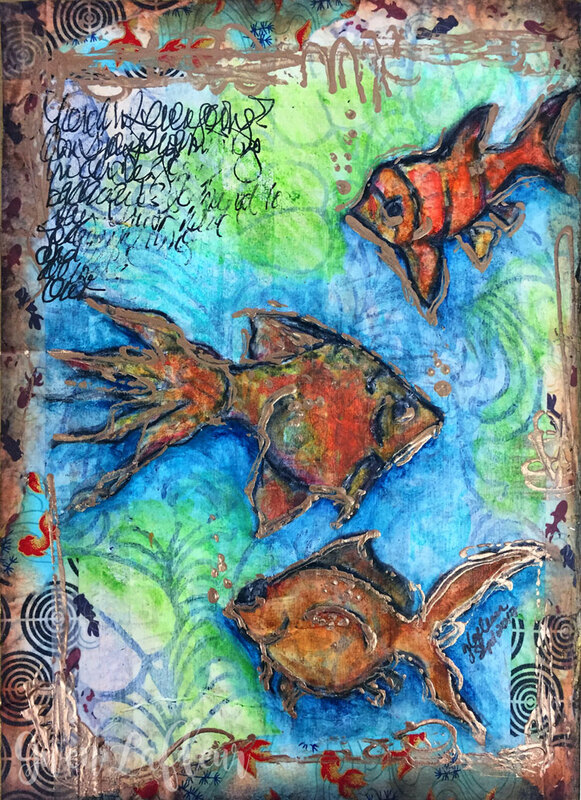 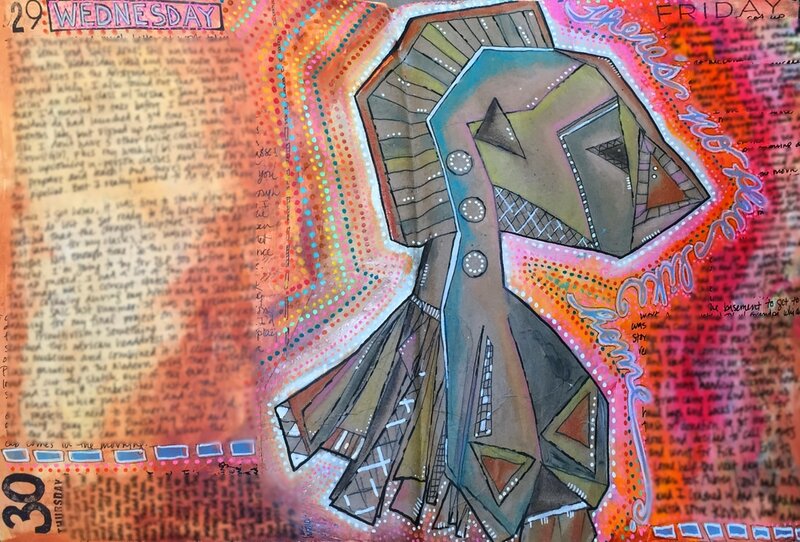 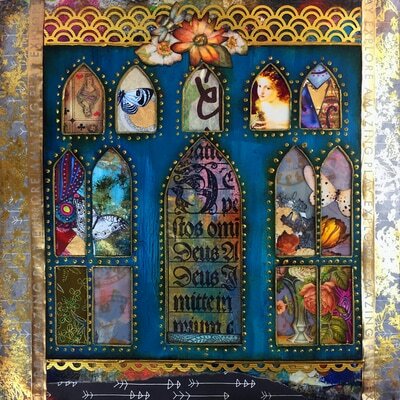 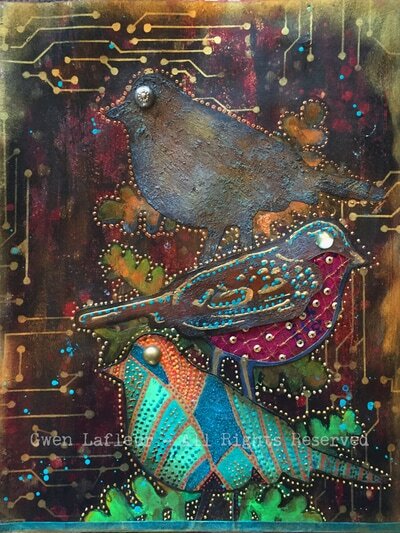 "Away" art journal page by Gwen Lafleur. 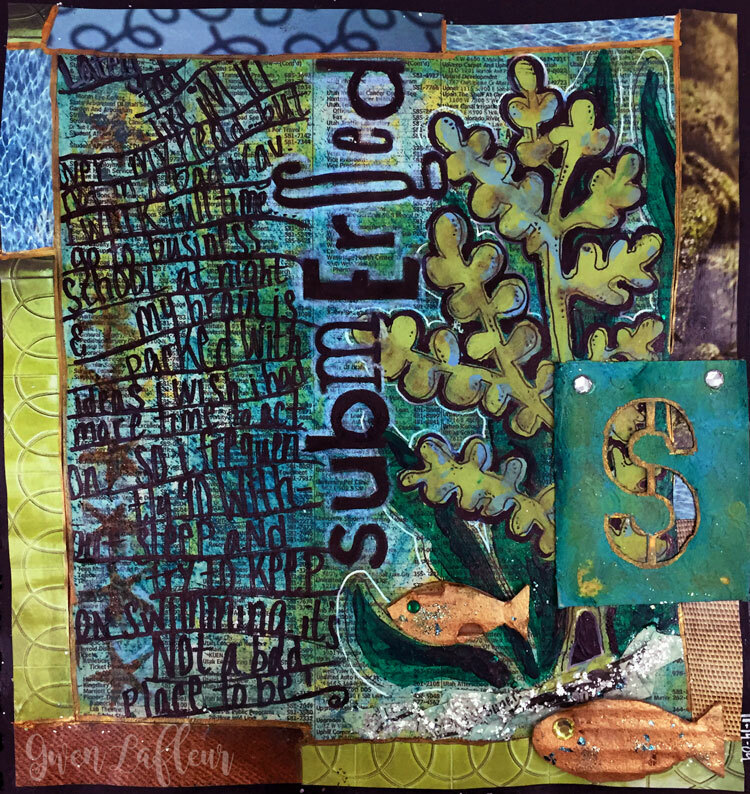 Stenciling, collage, hand-carved stamp, fabric, and stitching. 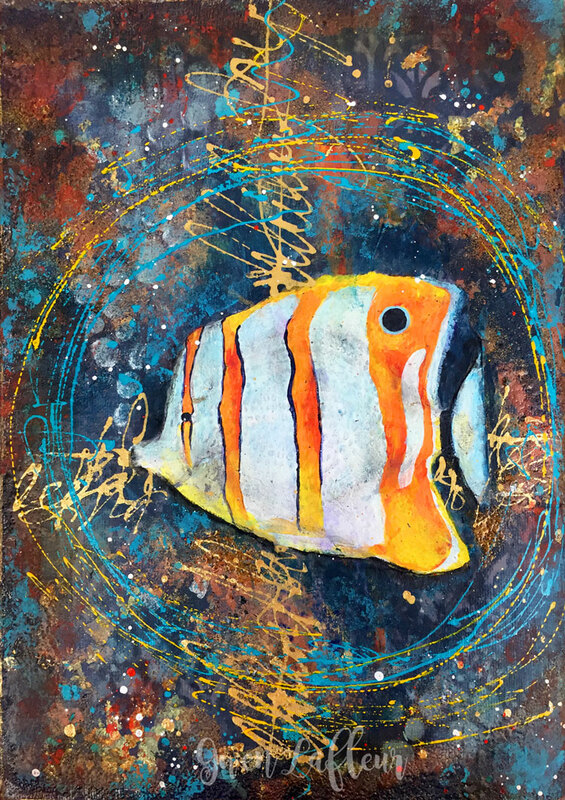 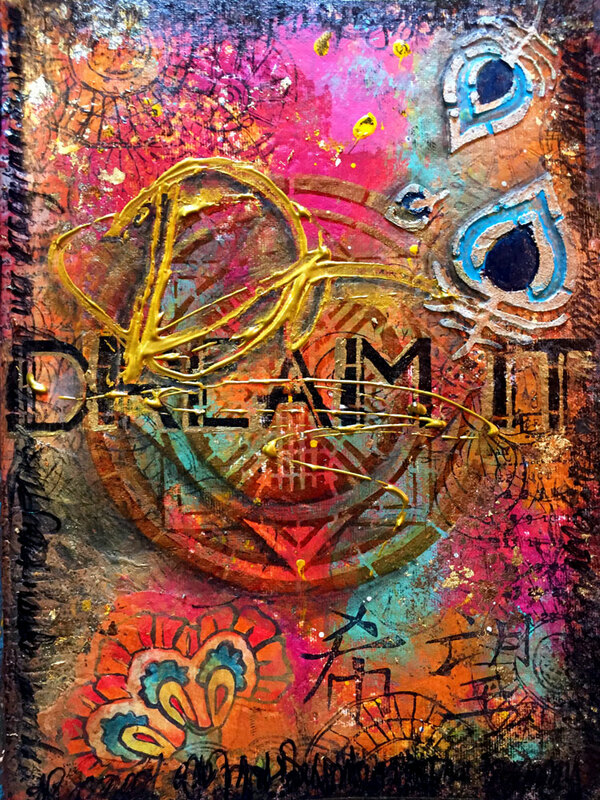 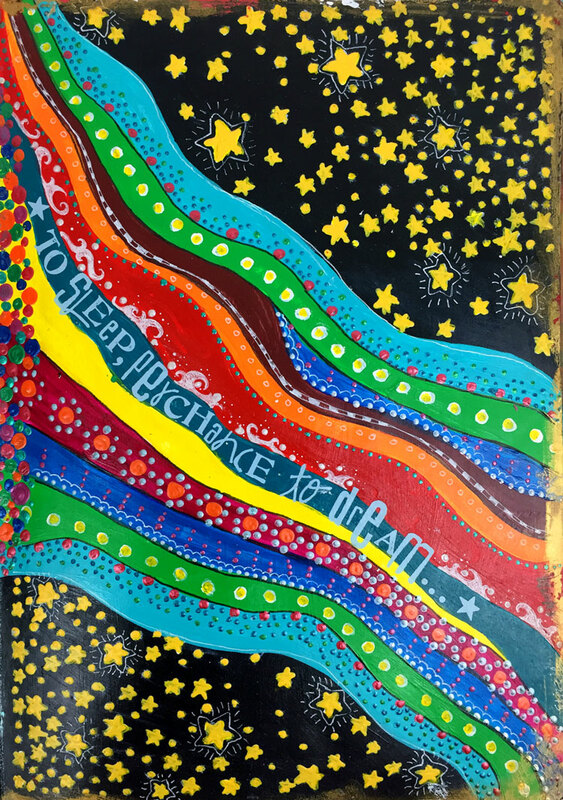 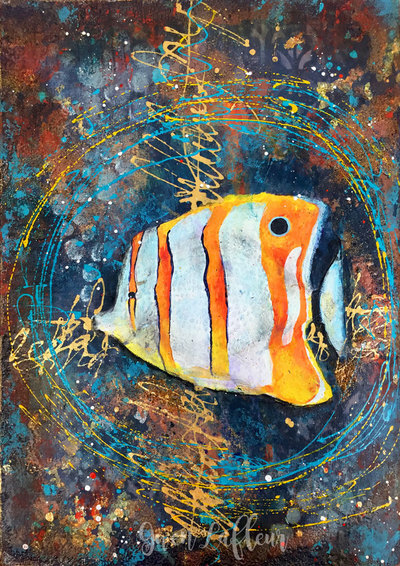 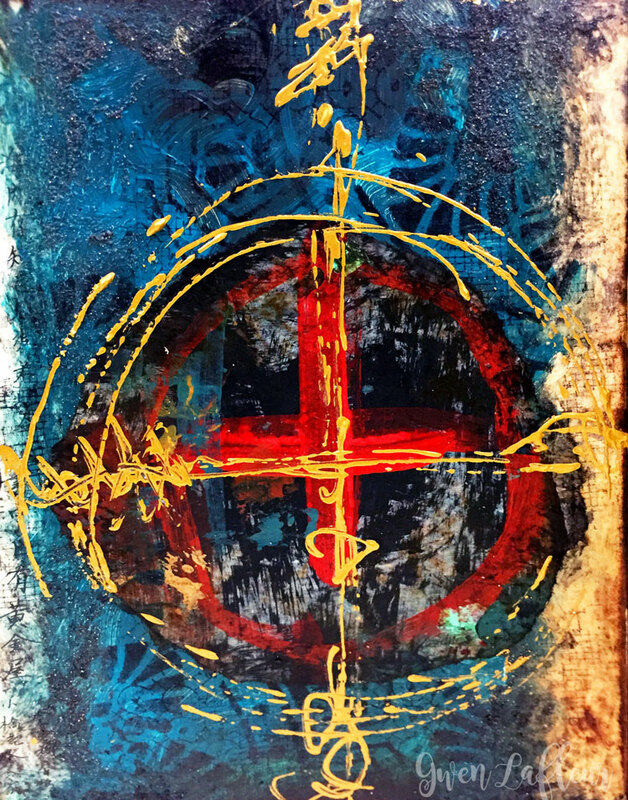 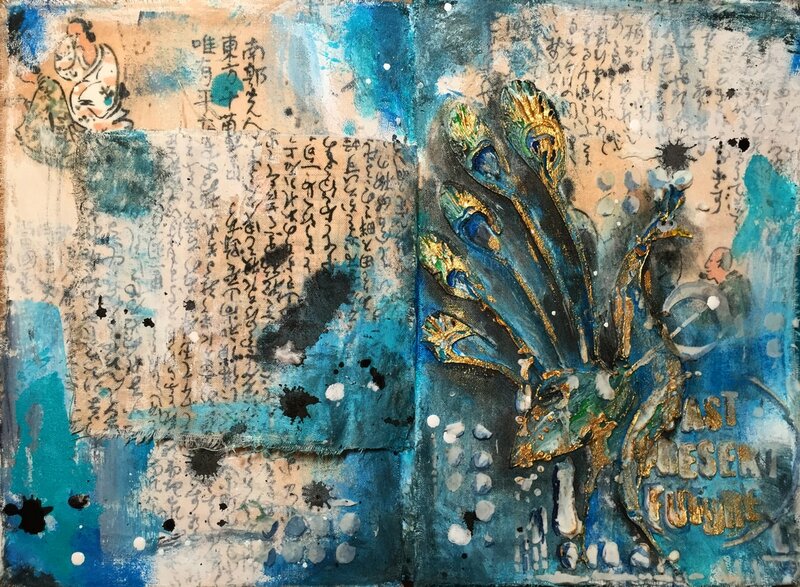 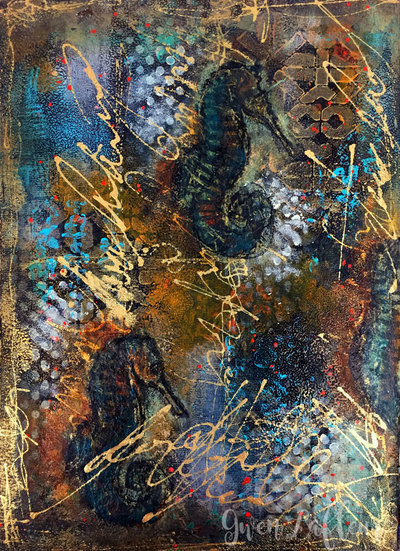 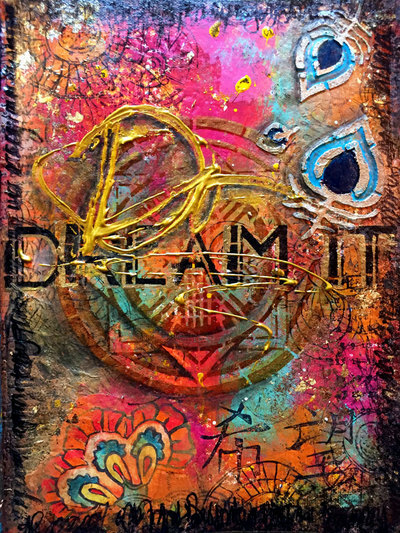 "Transform" art journal page by Gwen Lafleur. 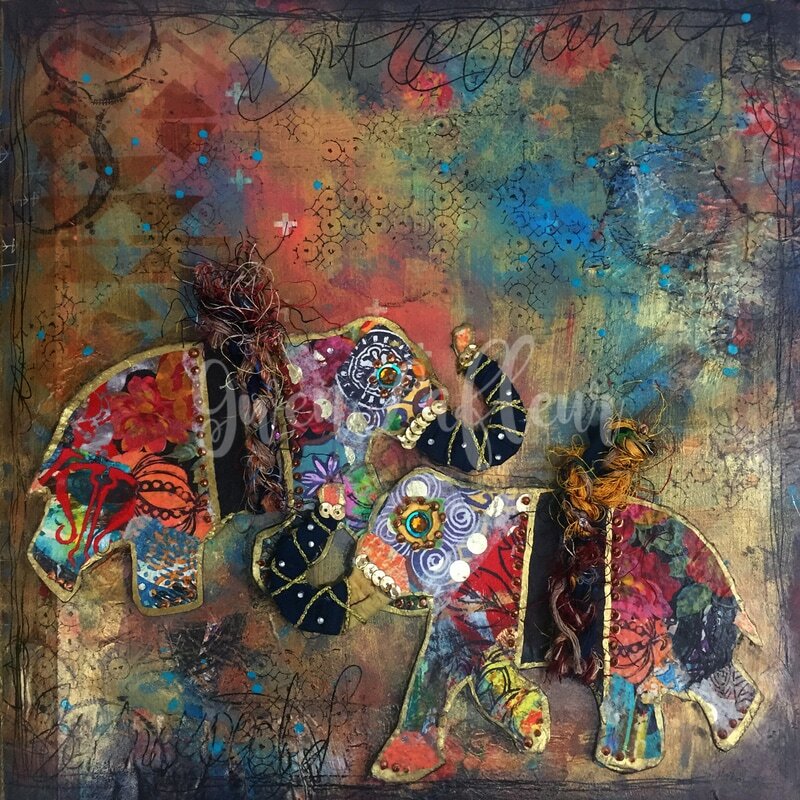 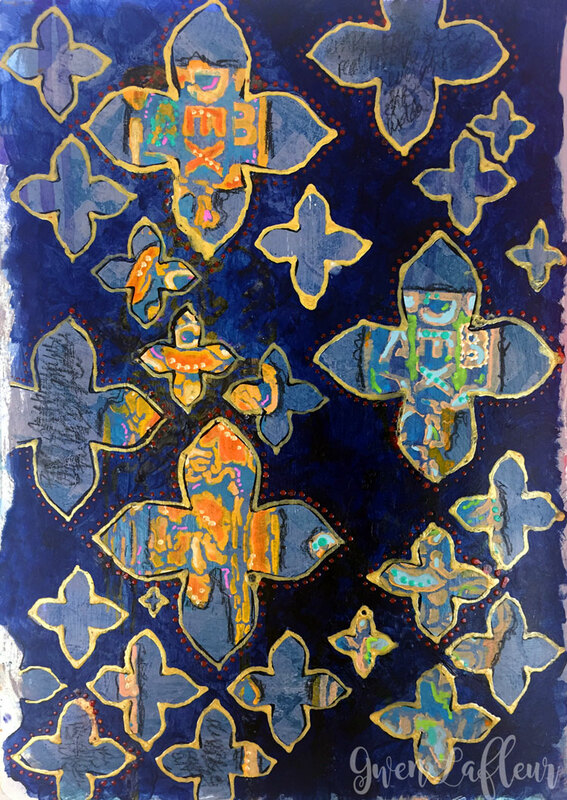 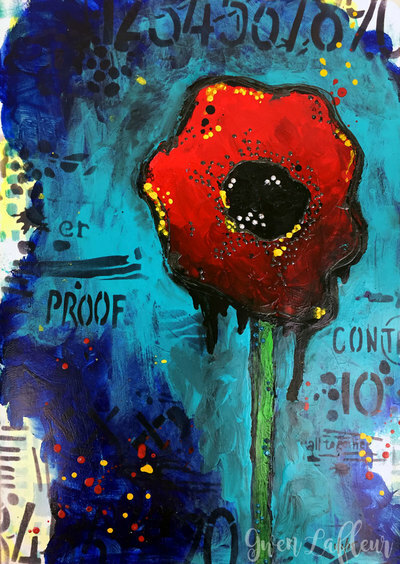 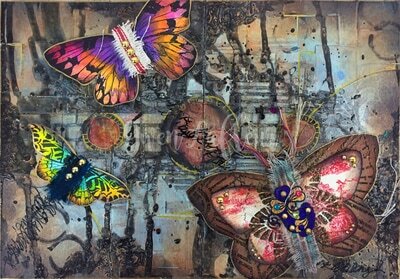 Stenciling, soft pastels, collage, acrylic paint, fabric scraps, and mark making. 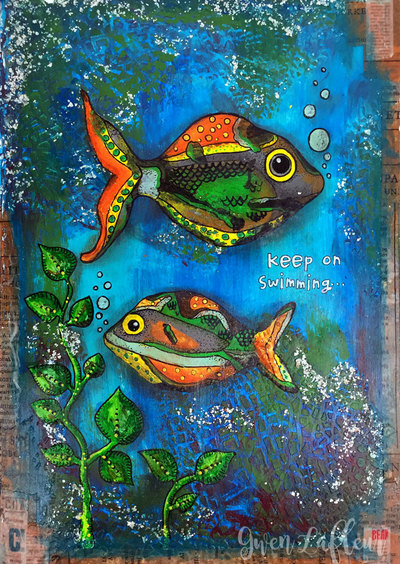 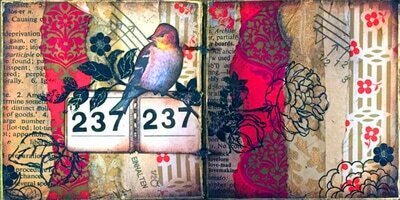 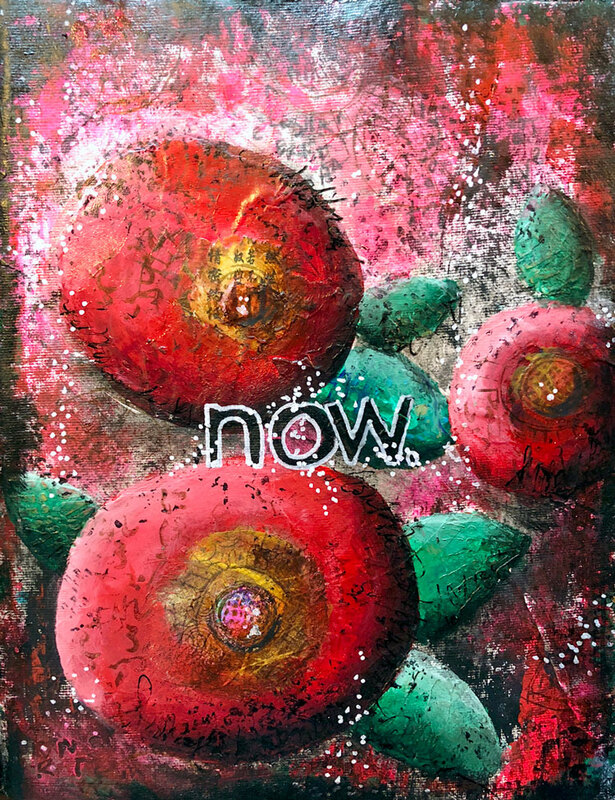 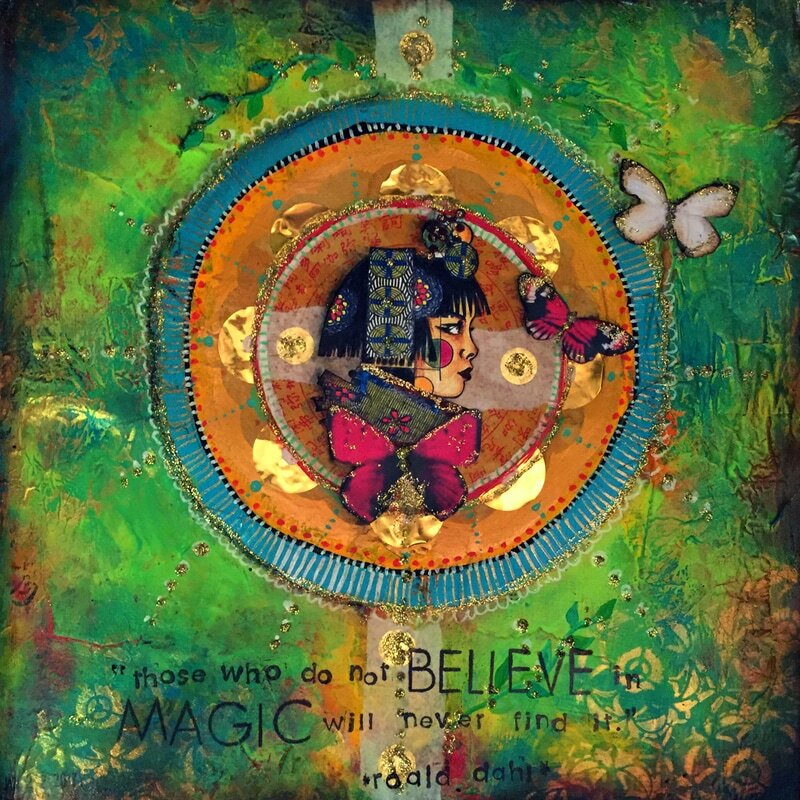 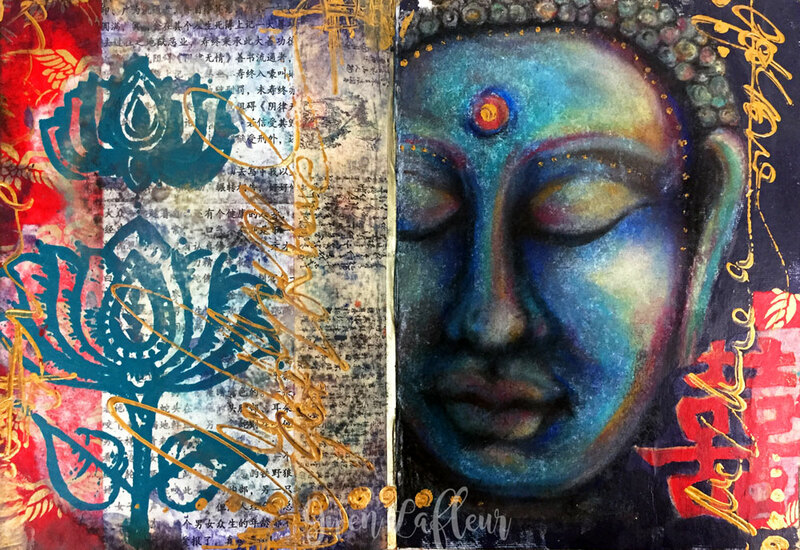 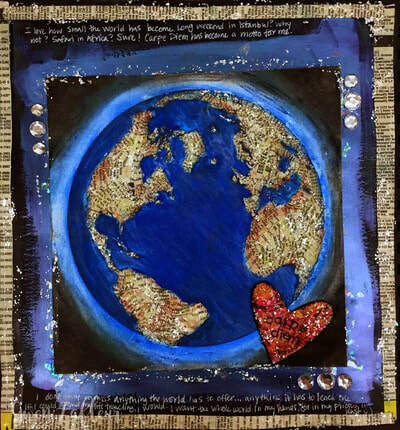 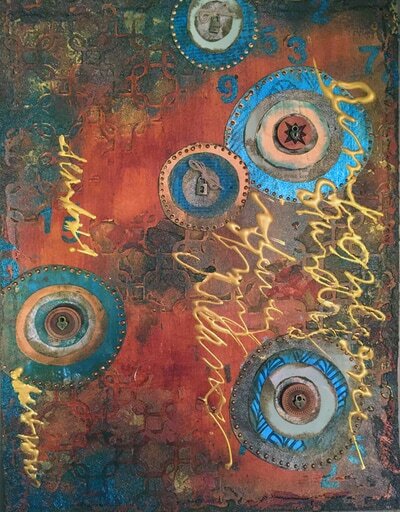 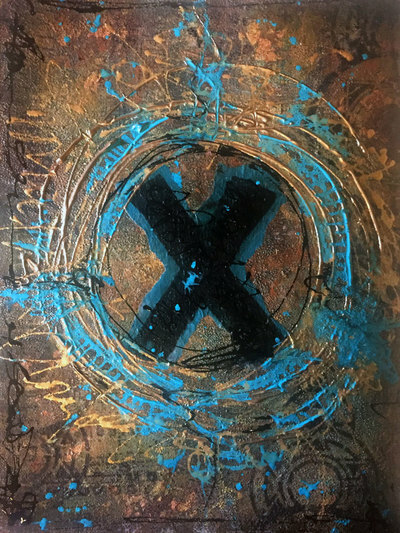 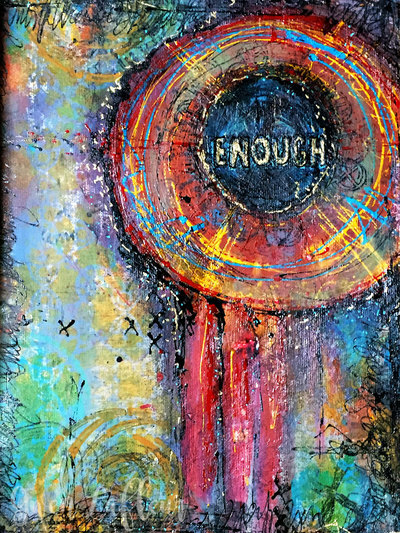 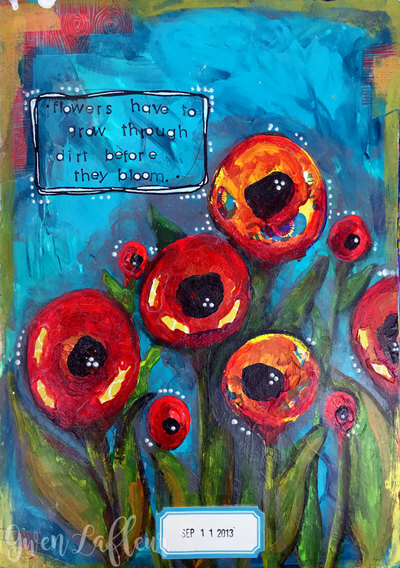 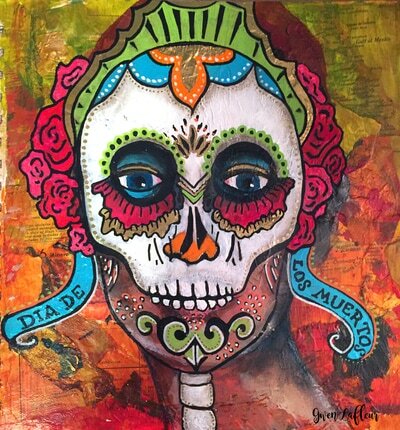 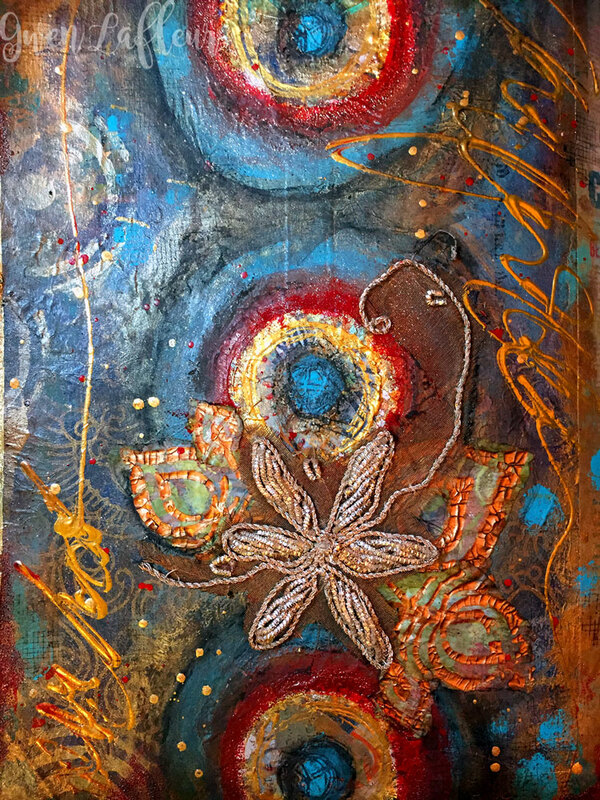 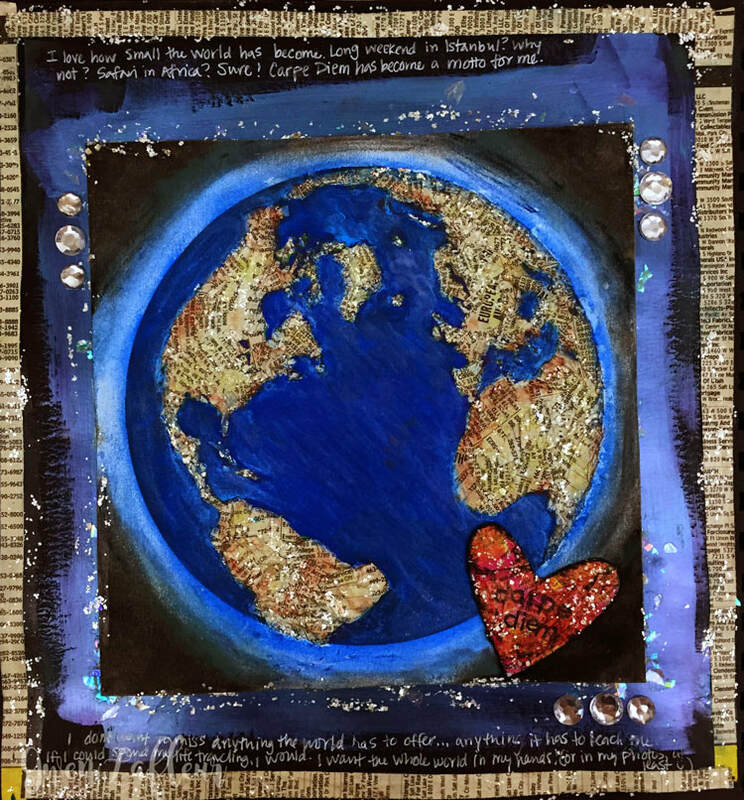 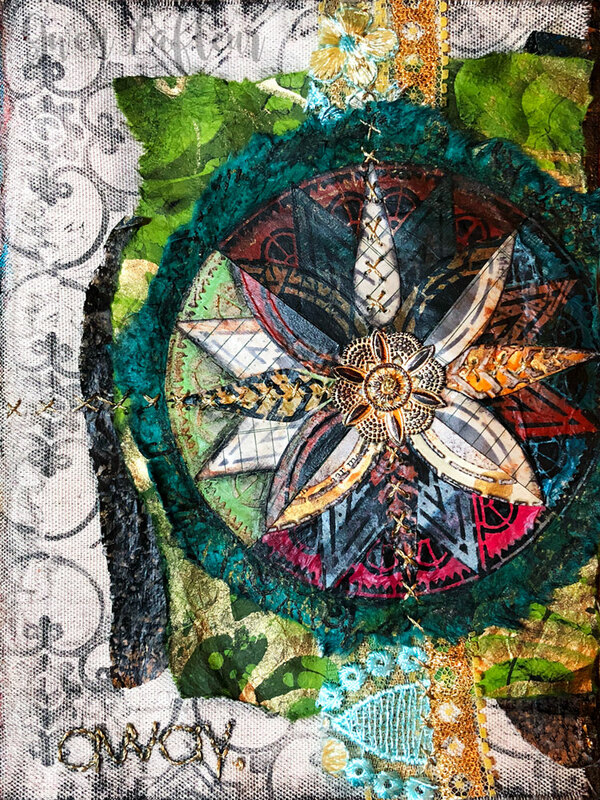 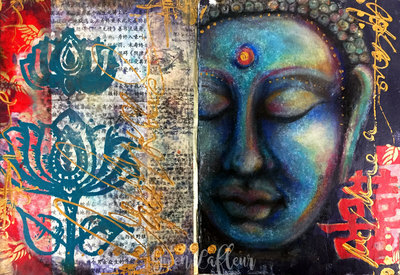 "Now" Art Journal page by Gwen Lafleur. 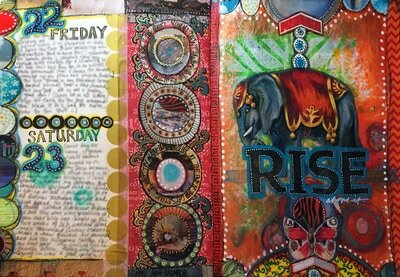 Collage, acrylic paint, mark-making. 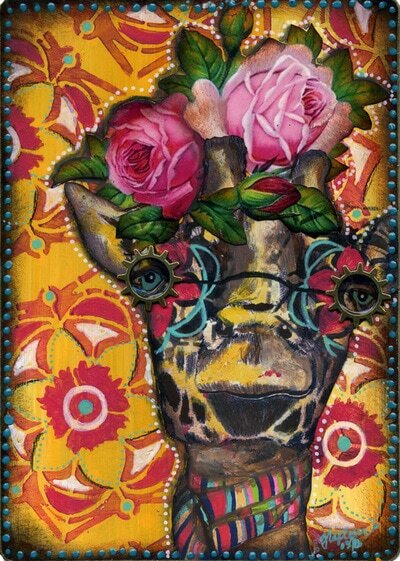 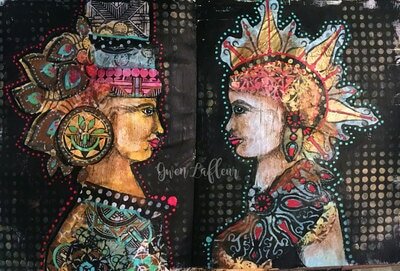 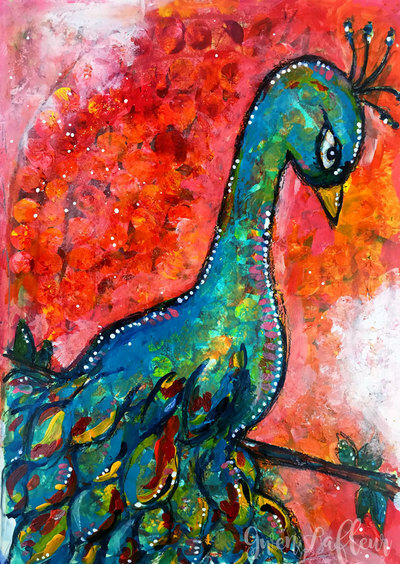 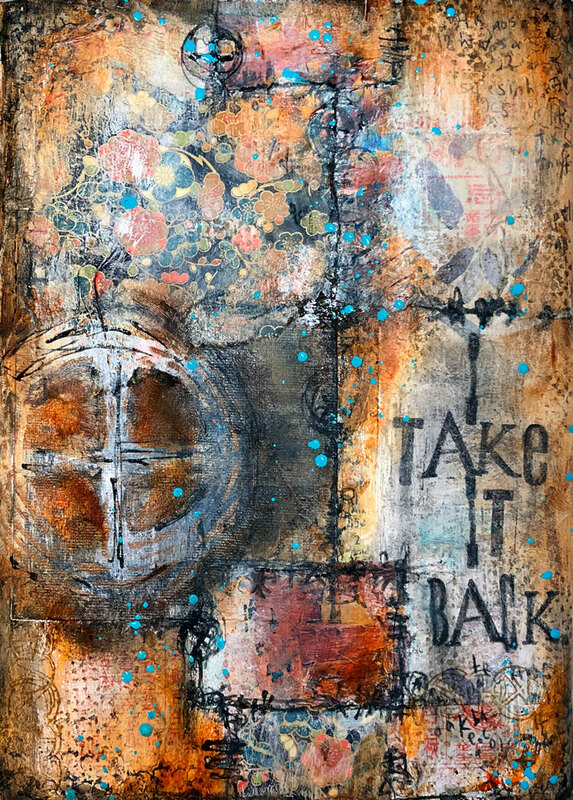 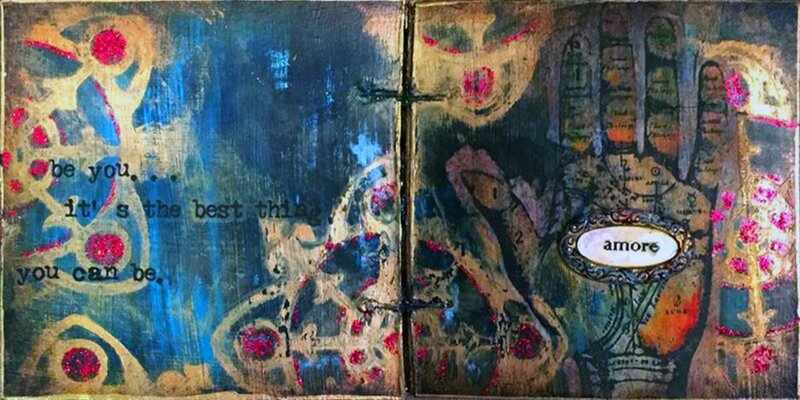 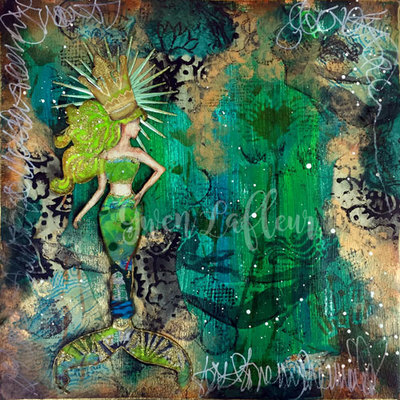 "I Take it Back" art journal page by Gwen Lafleur. 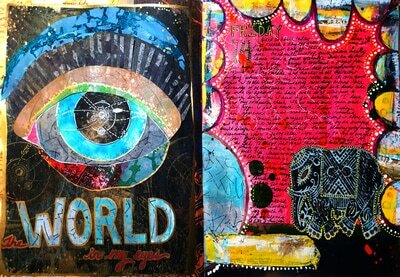 Collage, stenciling, acrylic paint, mark-making. 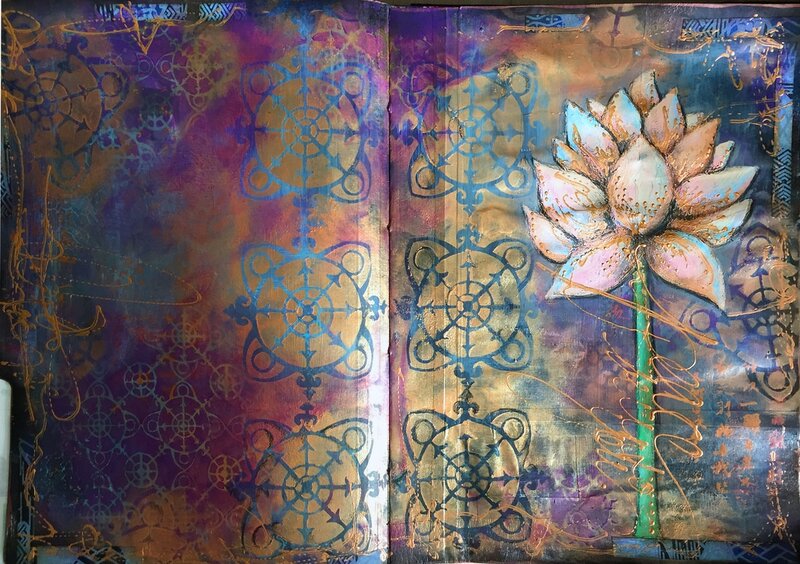 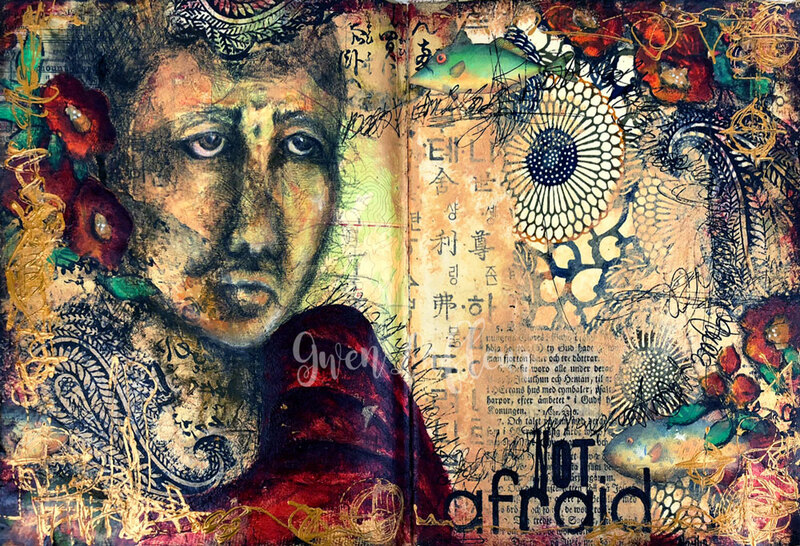 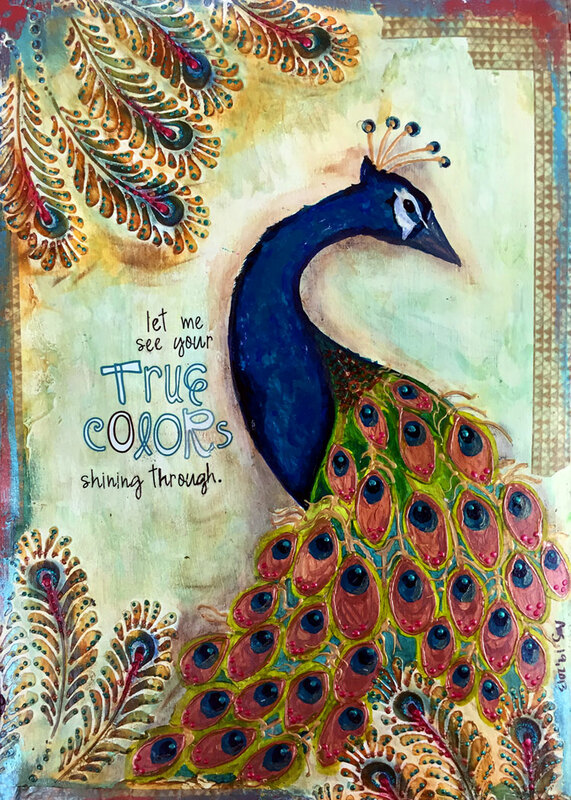 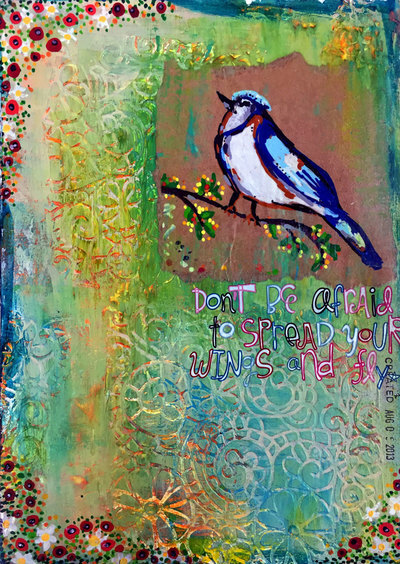 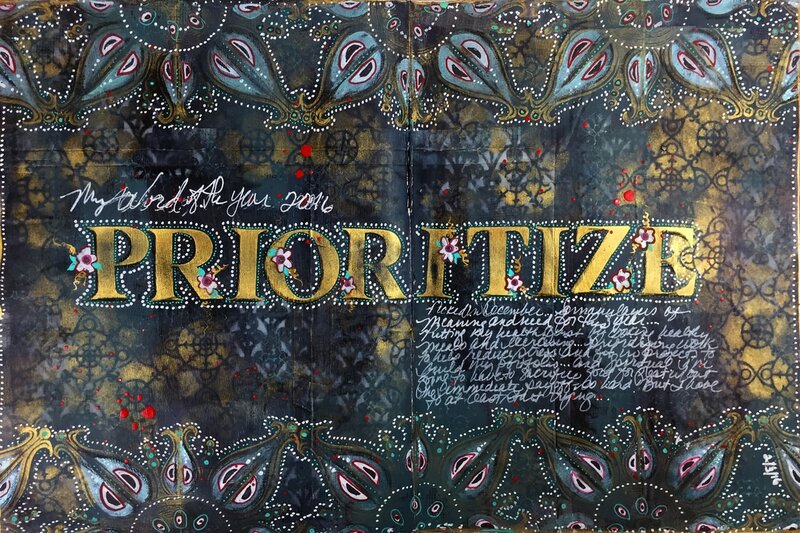 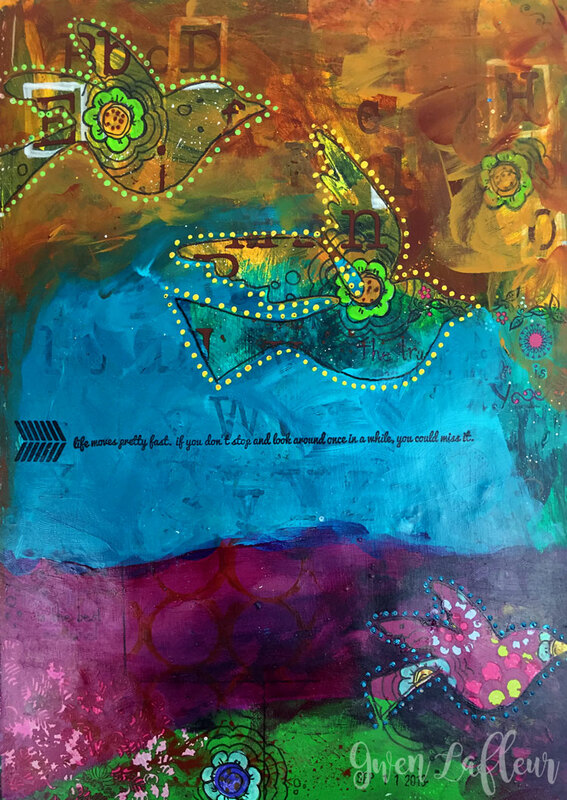 "Not Afraid" art journal spread by Gwen Lafleur. 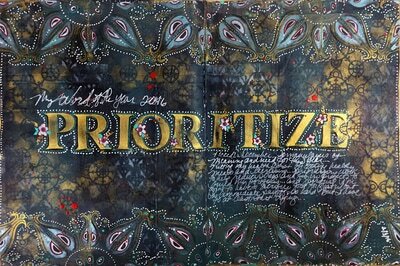 Pencil, pastel, and acrylic portrait over stenciled and collaged background. One of the solid pages in my mini translucent art journal: collage, acrylic paint, and stenciling. 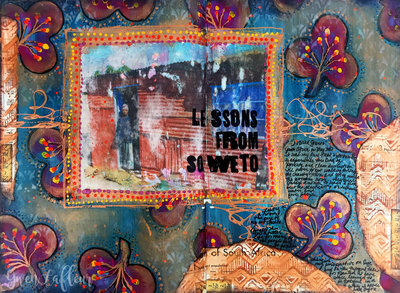 Click to see the class page with the full journal. 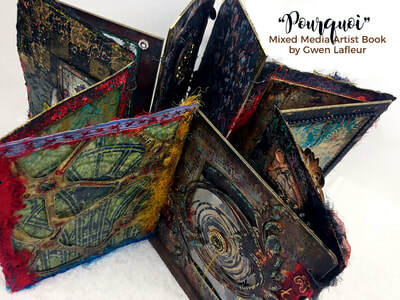 My artist book, entitled "Pourquoi," completed in early 2018. 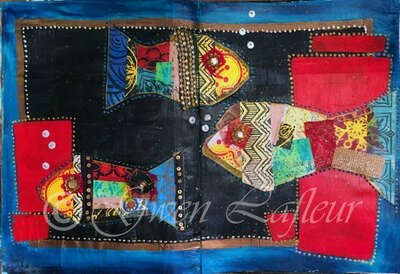 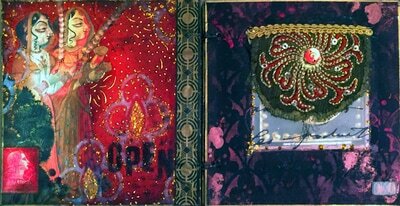 "Target Practice" art journal page with collage, acrylic paint, and embellished fabric scraps. 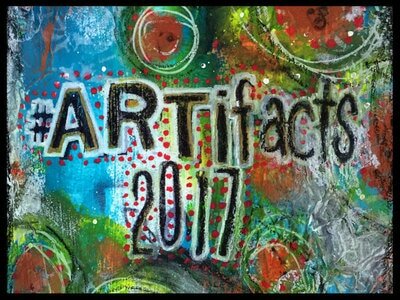 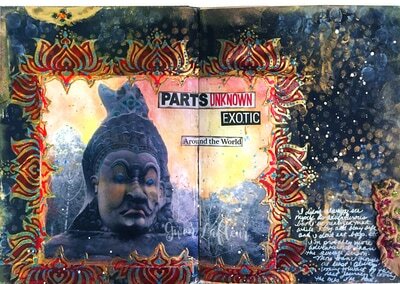 Click to see my full gallery for the ARTifacts 2017 art journaling project. 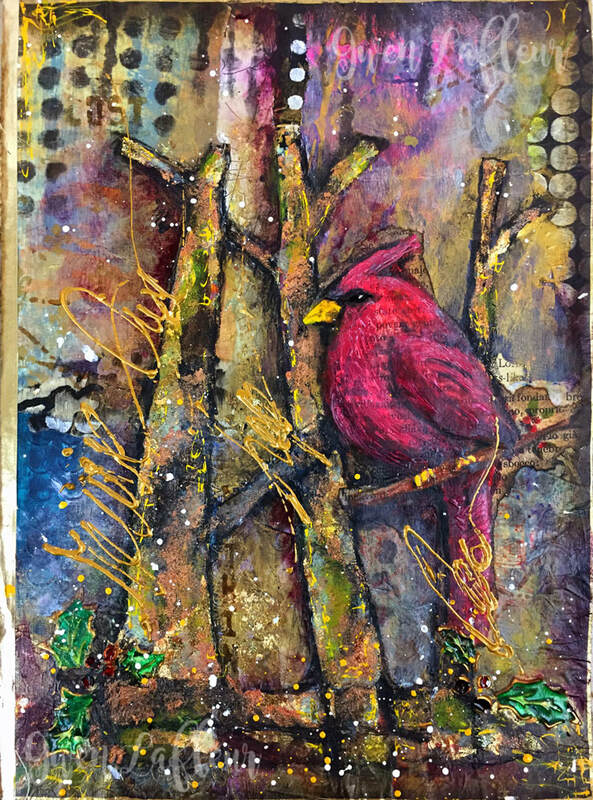 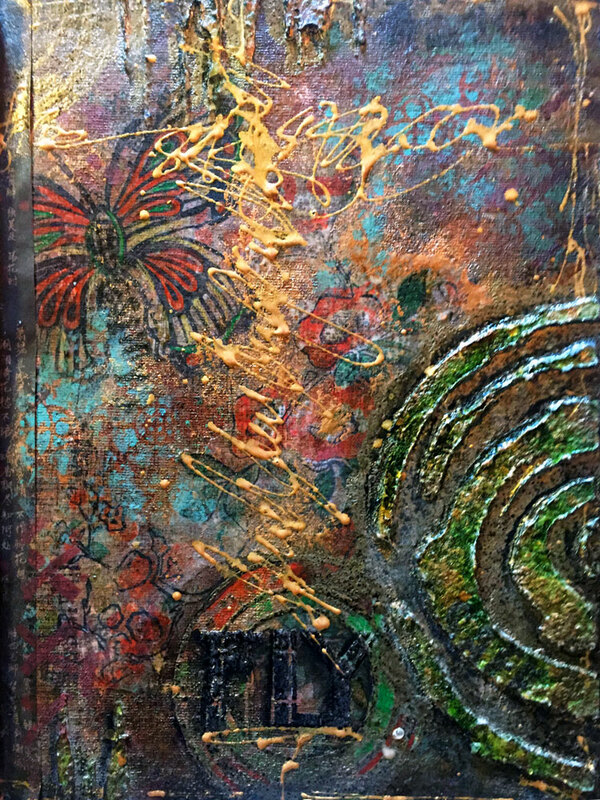 "Winter's Day" - On this art journal page, I used stencils, collage, paint, gold leaf, and rusting mediums to create a layered, winter-themed page. 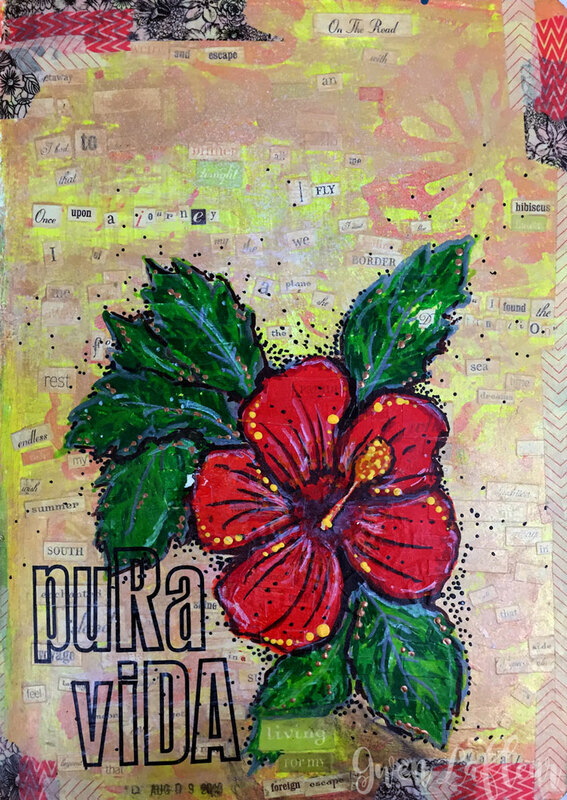 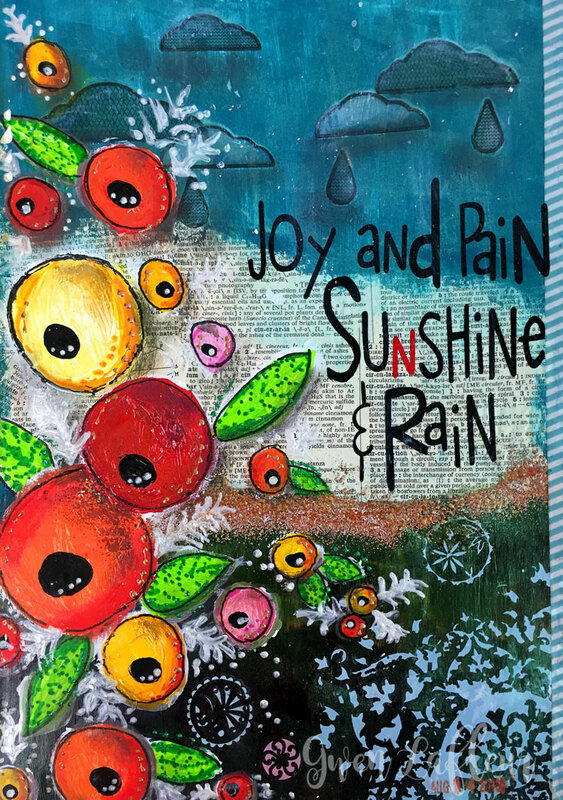 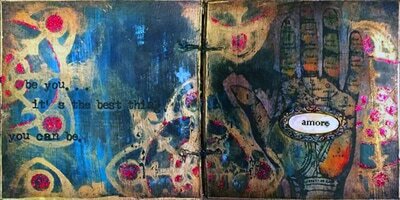 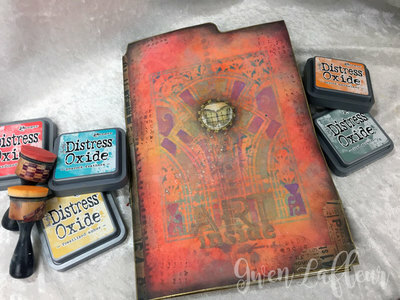 This file folder art journal features stenciled covers and five background spreads inside the book itself, all done with Distress Oxide Inks. Click for lots of photos and six video tutorials! 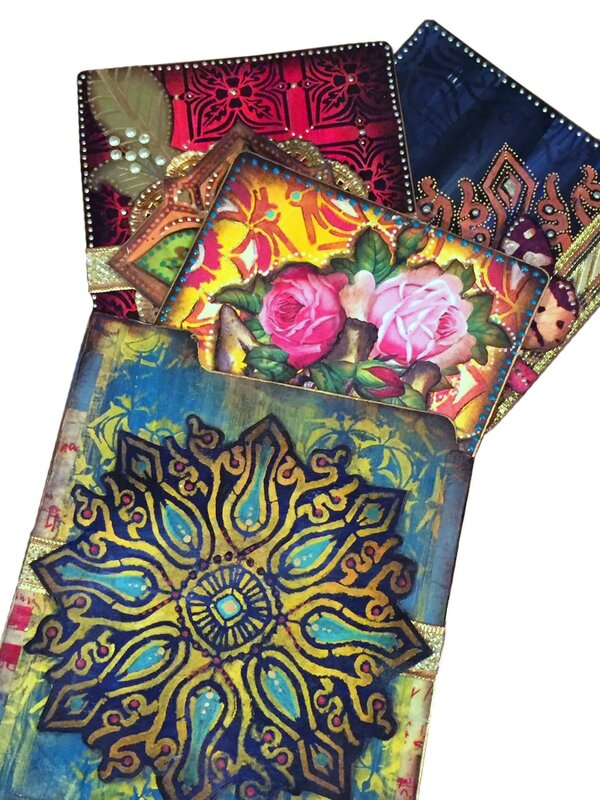 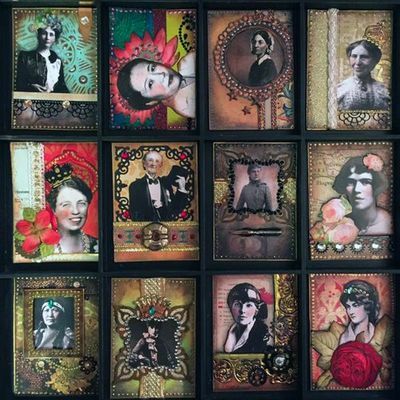 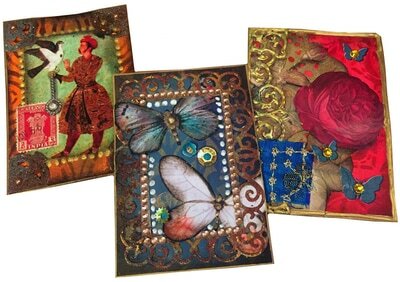 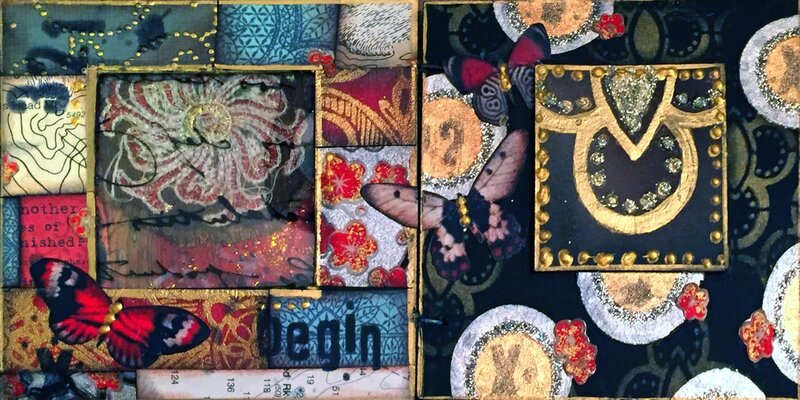 This set of nine India-themed ATCs features stenciling, Dresden trim, collage cutouts, and more. 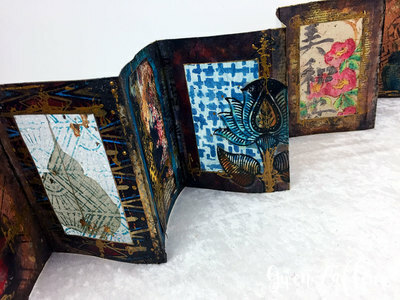 Click for close-up photos and a tutorial! 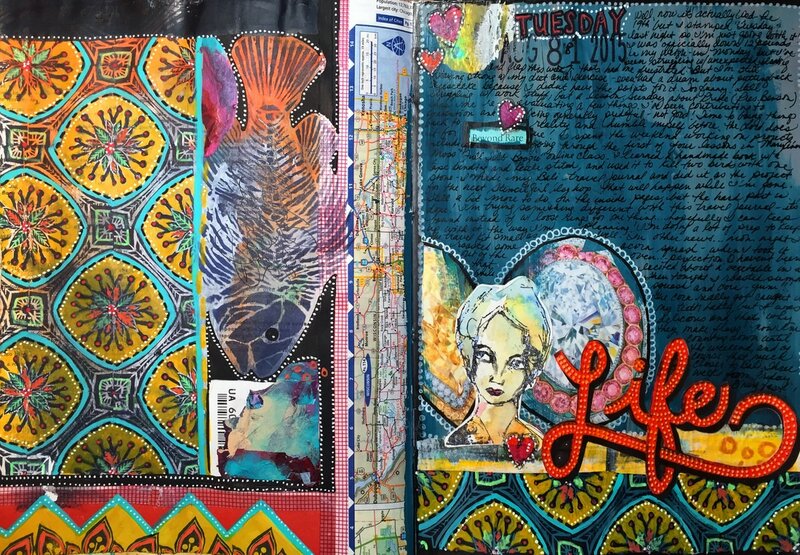 Art journal spread featuring a boho mermaid made with stencils and collage. Click to see more photos. 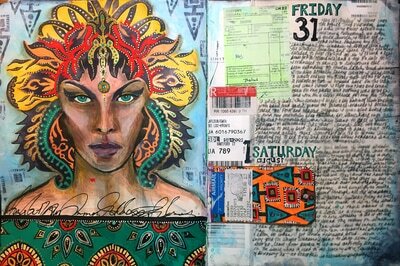 "Find Balance" art journal page with a pastel portrait, mixed media collage, and acrylic paint. "A Wing and a Prayer" art journal page with stenciling and collage. Mixed media collage in a 5x7 art journal - click for more photos, close-ups, and a tutorial for this spread. 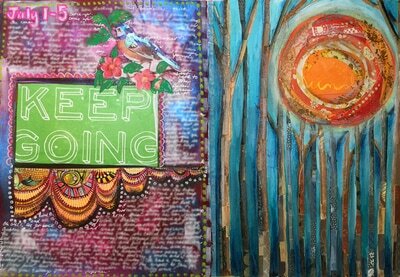 March 2017 ATCs with the theme, "In the Garden." 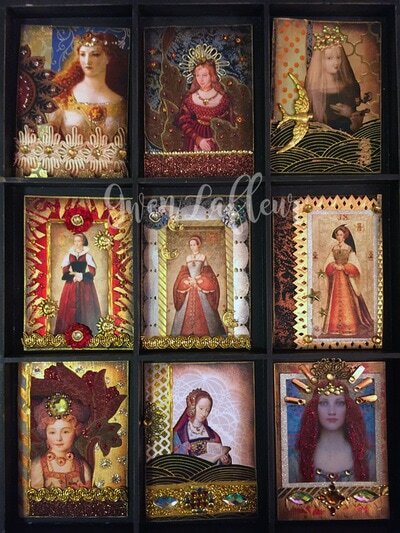 Click for the blog post with photos and descriptions of individual cards. 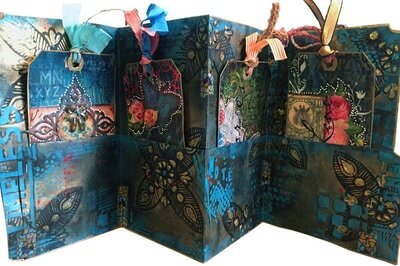 See my tutorial for making these jumbo ATCs from scrap paper when you click on the image. 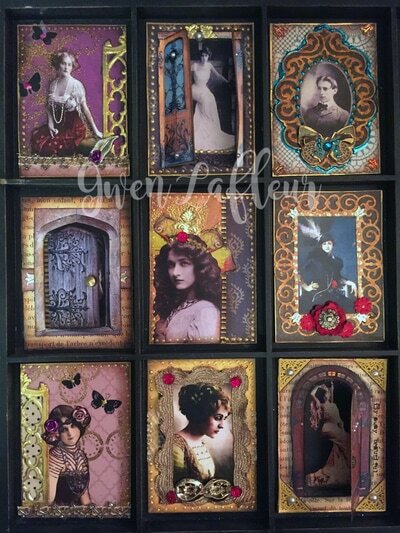 Click the image to see all nine of these ATCs in more detail. 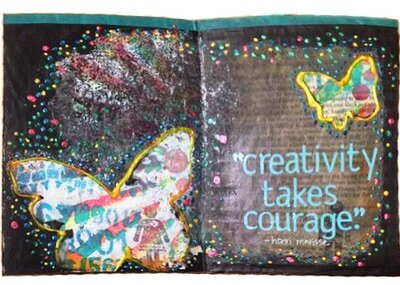 Click on the photo for more images from this art journal as well as some tips on how I made some of the page elements. 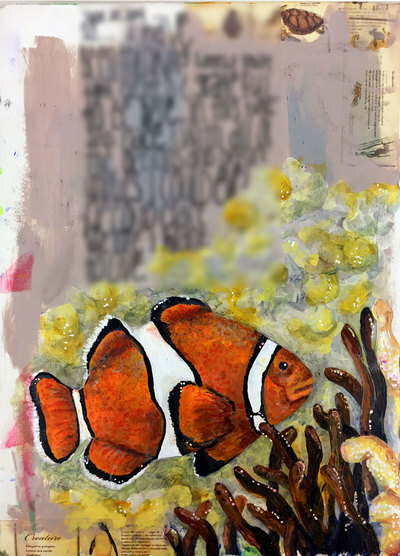 To see the entire mini art journal, click the photo. 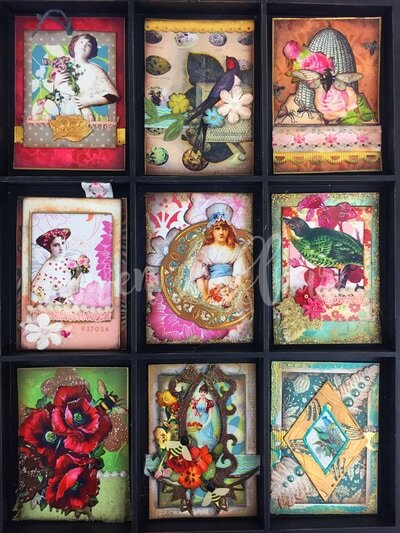 See all nine cards in more detail by clicking on the image. See more details for this spread along with a brief tutorial when you click the image. 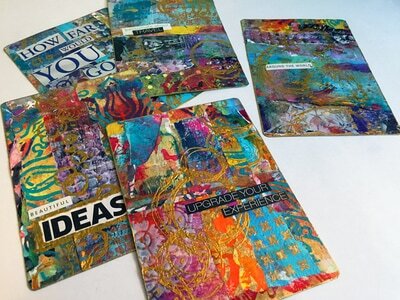 Click the photo to see close-up images and a brief tutorial on making the spread. 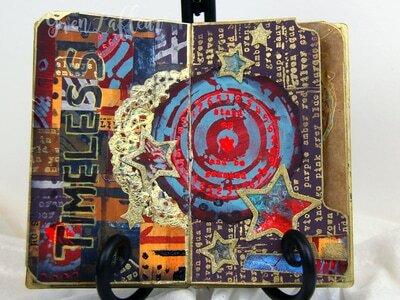 See more details about this art journal spread; click the photo. 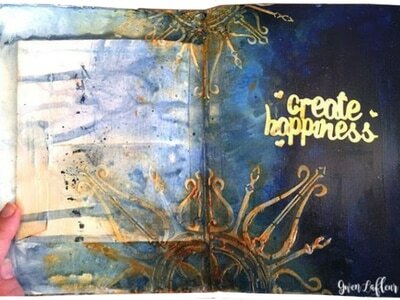 See more details for this art journal page along with a tutorial when you click the photo. 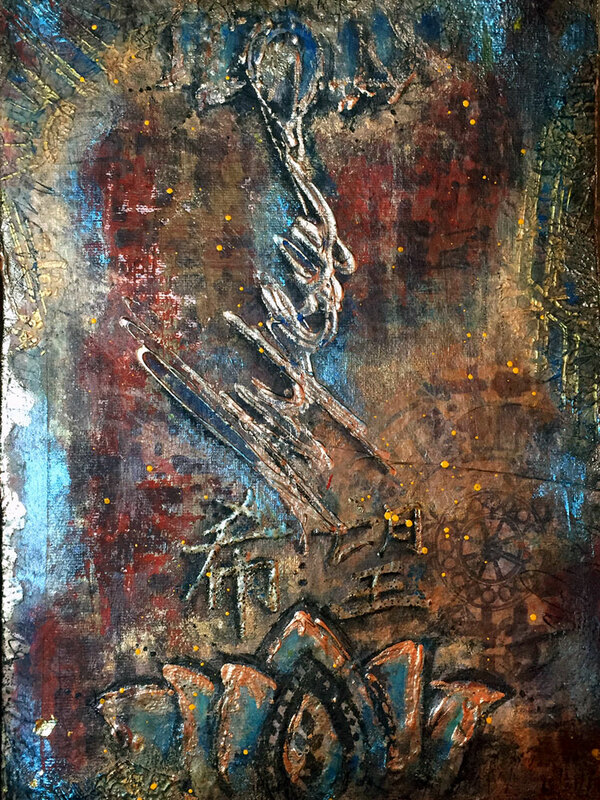 See more photos of this mini art journal, both inside and out, by clicking the image. 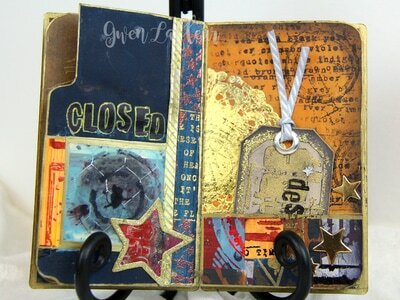 Get a closer look at all 12 ATCs by clicking the photo. 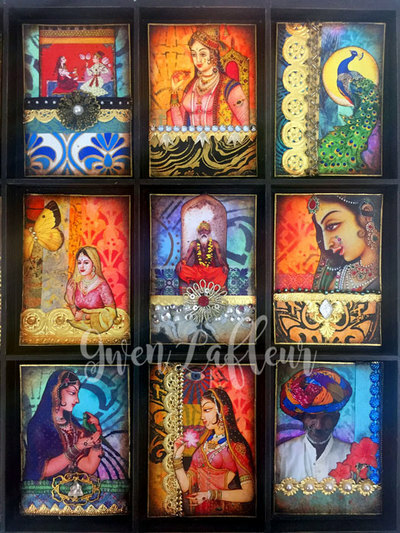 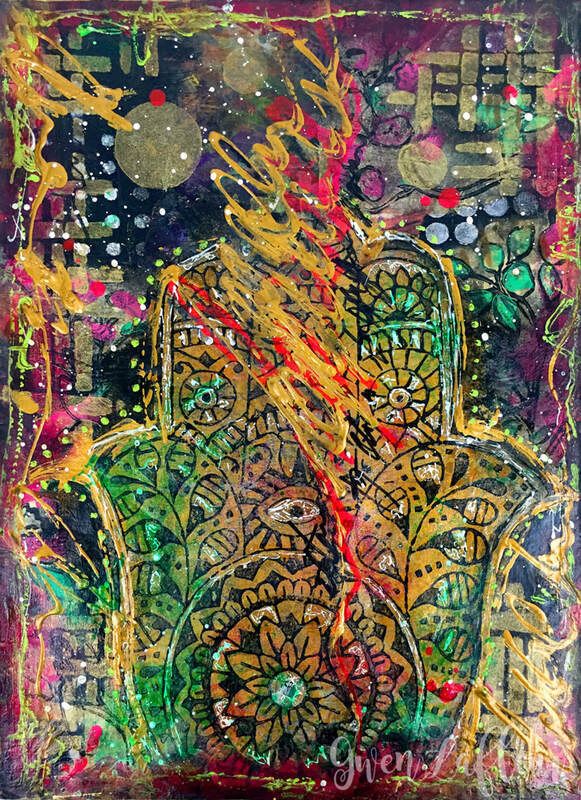 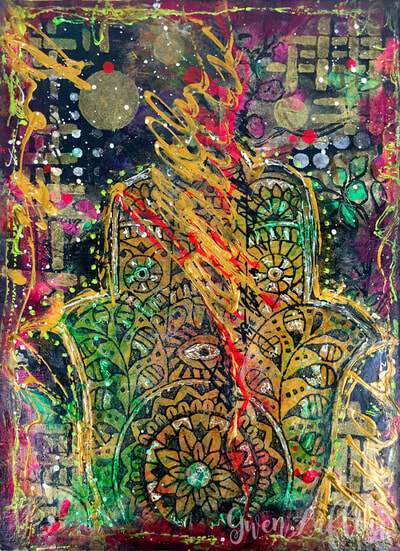 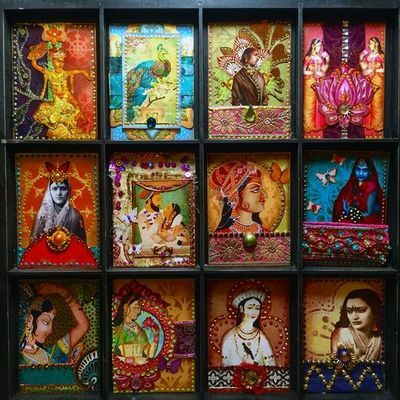 See all 12 of these colorful Indian themed ATCs in more detail when you click the photo. 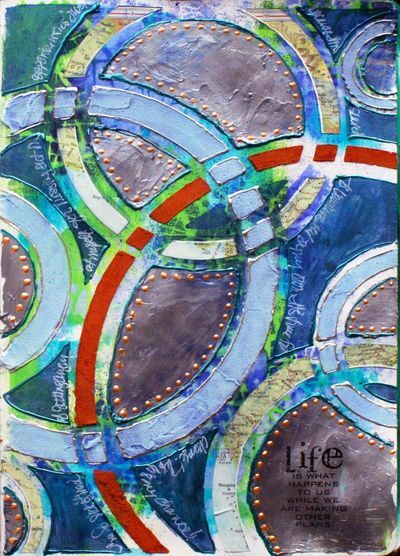 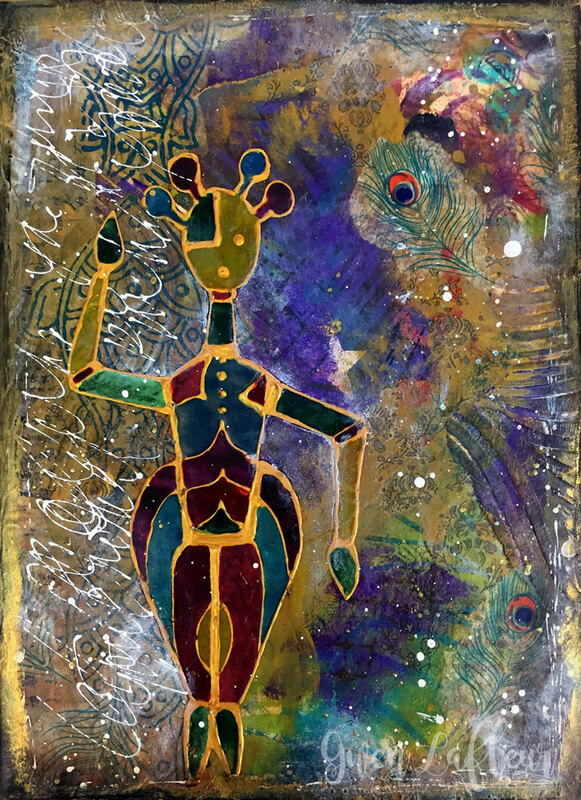 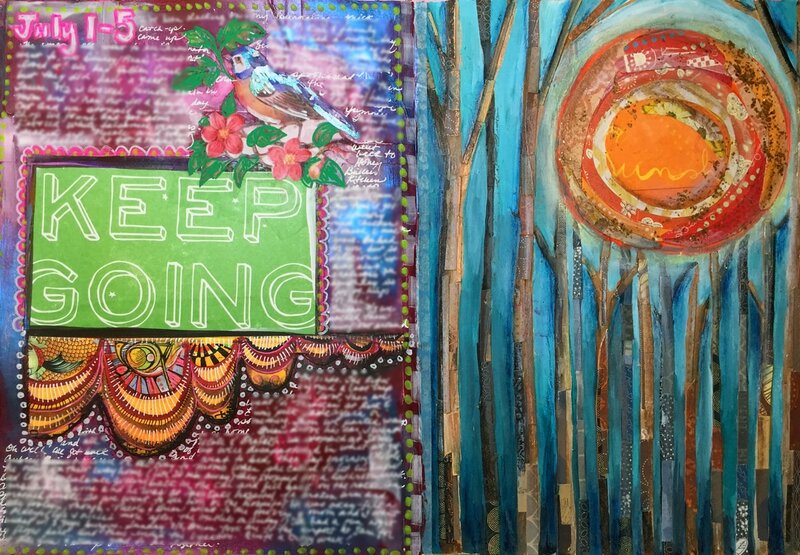 Click the photo to see the entire file folder art journal, including close-ups. Click the image to see more close-up photos as well as a page tutorial.